Thursday Music: Rolling Stones: Jumping Jack Flash Or We Could Just Stop Playing IT! By now you’ve no doubt heard about the cancellation of the reboot of Roseanne Barr’s television show after Barr sent out a racist tweet. 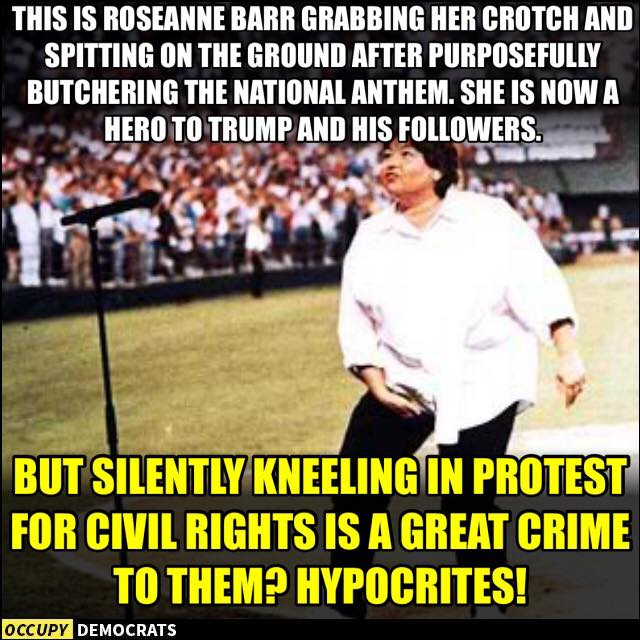 Predictably, many on the right wing have started to hold Barr up as some sort of free speech hero for speaking her mind and being punished for it, but I can’t help but wonder if those same right wingers supported Roseanne Barr’s expression of free speech when it involved her botching the National Anthem, spitting, and then grabbing her crotch.